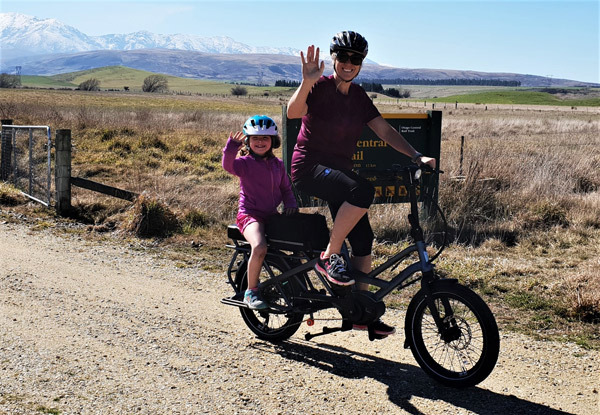 Take a two-day and two-night self-guided trip through the big-sky vista of Central Otago on the Otago Central Rail Trail with shebikeshebikes. 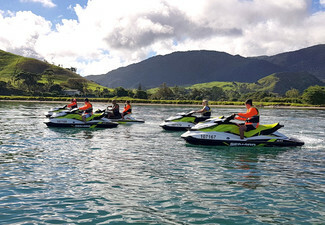 This two-day tour is based on self-drive to Clyde and then shebikeshebikes transport from Clyde to Omakau for the first night. 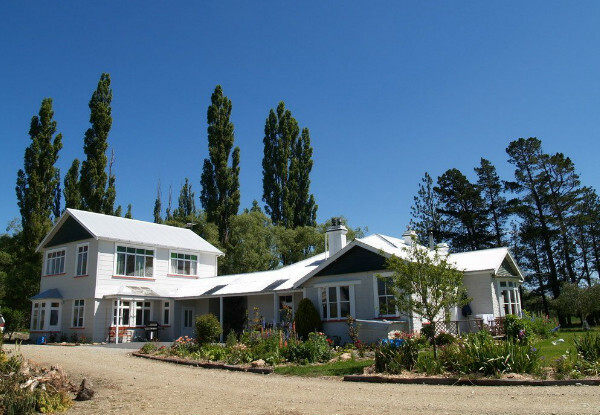 Then transport out to Oturehua at a civilised time the next morning and then cycle back to Omakau for the night (30km). 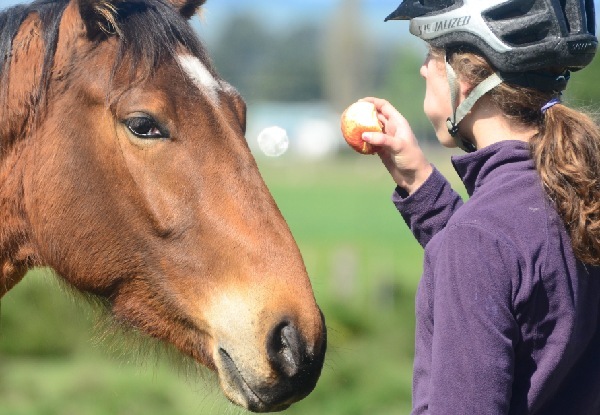 The following morning you cycle from Omakau to Clyde (35km) to finish the trip. Valid for travel between 1st April until 30th November 2019, excluding June and July. 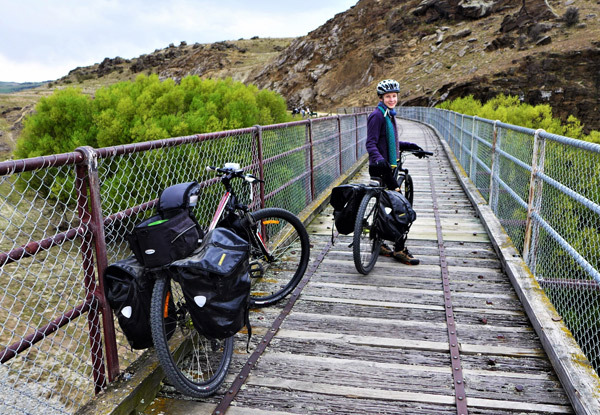 Grab a two-day and two-night Otago Central Rail Trail tour from shebikeshebikes. Like all shebikeshebikes adventures, this trip is all about fun. Even if you haven’t been on a bike for a very long time because you’re old enough to have ridden a horse to school or what you used to refer to as your bike is now in your local transport museum, they have the solution. Their specialized mountain bikes come in “cushy, sprung seat, upright, comfort” low step or standard bar versions or the more sporty 29’r wheeled “have you noticed that my bigger wheel’s shallow curve is rolling over the trail surface more easily?” versions. They have a tandem too for those who like the thought of the “captain and stoker” relationship. 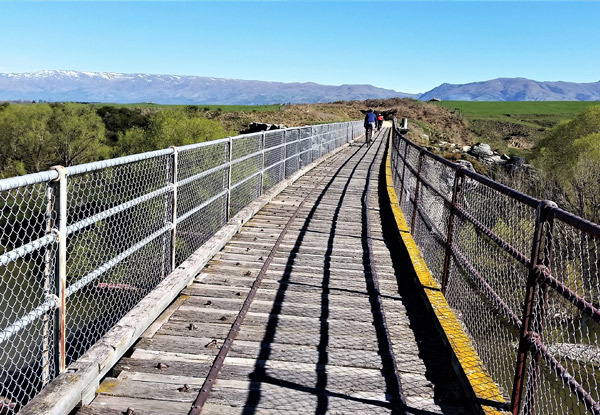 Having done the Otago Central Rail Trail is an automatic conversation starter – even if you have only actually done one or two days of the best bits – minor details for busy people. 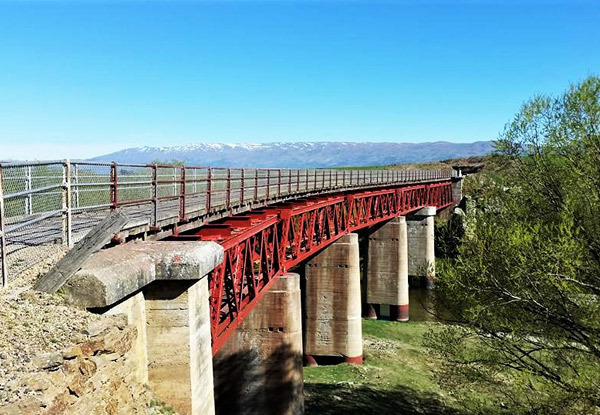 So the next time that someone says “Oh have you done the Rail Trail?” don’t be afraid to throw in a few trail-related points of interest. Like that the Poolburn gorge is home to the rare New Zealand falcon (Karearea) and you of course have actually seen one (check out the back of the $20 note for details), that although Cyclophobia is a very real and scary phenomenon for some - you now have empathy as you also experienced the rapid heartbeat and tunnel vision on day one of this trip. 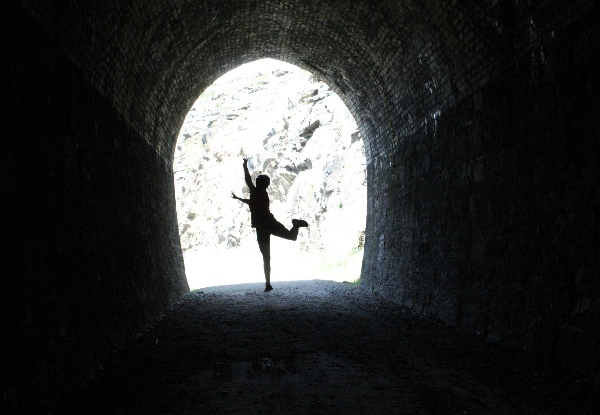 Just quietly - over 50% of cyclists forget to take off their sunglasses when going through the deep dark Poolburn tunnels and remark on how dark it is – much to the amusement of their companions. 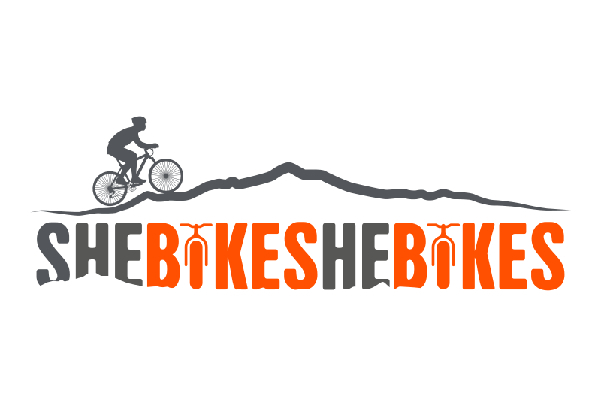 Shebikeshebikes is a family run business doing great things on the Rail Trail since 2009. 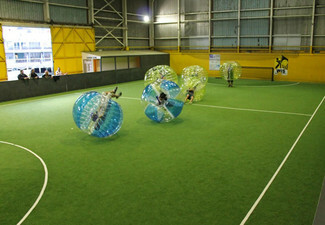 Feel free to read about them on Trip Advisor. Bookings essential. Subject to availability. Not valid on public holidays. Valid to use from 1st April until 30th November 2019. BLACKOUT DATES: not valid during June and July, or during the spring school holidays 28th September to 14th of October. 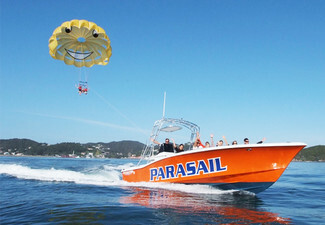 Limited availability on weekends. Book early to avoid disappointment. Valid for number of people stipulated on coupon only. Tour departs Clyde. 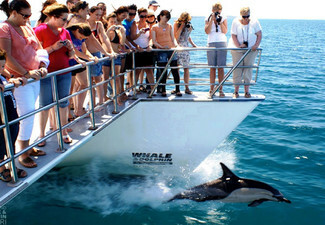 Minimum of two people are required to start a tour on any one day and a maximum of 16 guests can be accommodated on any tour. Trip runs rain or shine. Please wear appropriate clothing for winter riding. In case of bad weather, they will transport you to finish point should you choose not to cycle. In the rare event of snow, first day may be shortened. Must be used in one visit. 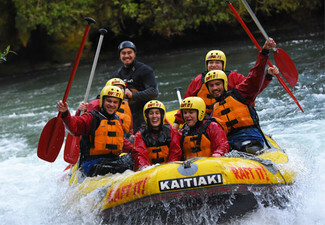 Includes: two days bike hire, luggage transport (1 bag per customer, bag storage provided if you have additional bags), two nights self-contained accommodation (Omakau Bedpost or Solandra Lodge), continental breakfast each day and transport from Clyde to Omakau on day 1 and Omakau to Oturehua on day 2. 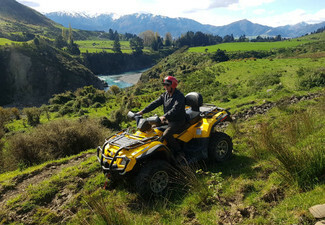 Excludes: lunches and dinners, any other activities you might choose to do and additional transport to retrieve you from the trail should you be unable to continue cycling. Refund available from GrabOne within 48 hours of purchase if specific dates are not available. No cashback. Not to be used with other offers.